EPUB, short for “electronic publication”, is a free and open e-book standard by the International Digital Publishing Forum (IDPF). It was initially developed in 2007 as a way to streamline digital publishing. What the IDPF didn’t consider back then, is the fact that “free” and “open” file formats are not particularly useful for creating profitable products. All the dominant book distribution platforms have since then moved towards proprietary formats (.ibook for Apple, .azw and .kf8 for Amazon Kindle) that support the necessary for commercial publication digital rights management systems, or DRMs. And while most devices used for electronic reading are EPUB-friendly and support the open format, the Kindle does not. The format is by all means shunned by the large companies and distributors, but at the same time is very popular among pirates, and generally speaking, readers. The openness of the format, the easy and readily available conversion from and to EPUB makes it the perfect way to disentangle a book from its commercial chains and put it up for free download. In terms of power distribution and the politics of protocol, EPUB’s role is a counterbalancing one. Although it is a standard in itself, the fact that it is used more for non-commercial (or in the case of piracy – anti-commercial) purposes gives it an aura of freedom. This is why for every instance of control and power exercised by the large companies and their proprietary formats and tethered devices, the EPUB provides a counterweight. In fact, a pirated product, regardless of format, overrides many of the control-exerting mechanisms in an informational economy. Once on a user’s computer or mobile device, a pirated book is outside of the reach of its original distributor or author, and this outside of their control. Amazon wouldn’t be able to delete a pirated book from thousands of Kindles and user libraries after their contract with the publisher expires. Apple also couldn’t pull a pirated book if someone sues them or files a complaint. 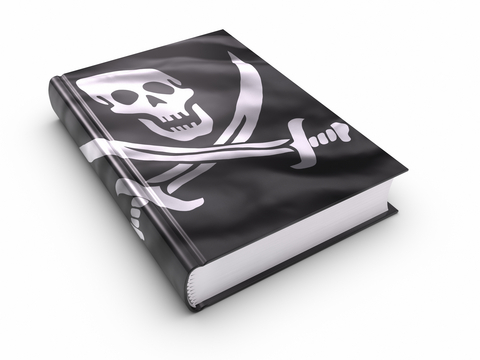 The EPUB’s emergence as the format of choice for piracy is logical. Although plain text .txt files or Adobe’s .pdf format are also suitable for non-commercial and unauthorized distribution, the EPUB’s set of features places it closest to its profitable proprietary rivals – it allows for reflowing of text after font resizing insertion of inline images and special design styling. This means that pirating rarely compromises the quality of the book content. The only shortcomings of the format are it’s inability to embed multimedia and interactive modules. Those features, however, are currently under development and are likely to be included in the next major version release. Piracy, of course, is not the EPUB’s only usage and purpose. There are numerous websites (some of which describe themselves as “publishing houses”) that allow authors to distribute their work in this format, free of charge. This has given self-publishing for non-commercial purposes a tremendous growth over the past few years. And just like piracy, it has helped the popularity of digitized reading, as well as publishing.